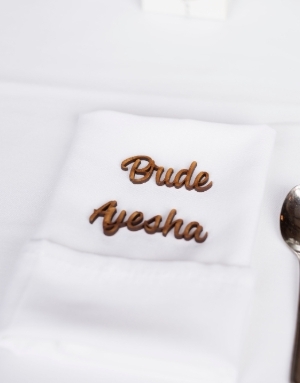 A romantic botanical theme set the tone for Ayesha and Reece's nuptials. Ayesha Kalyan married Reece Palmer, both 27, at Swallows Nest Barn, Warwick, on 8th September, 2018. 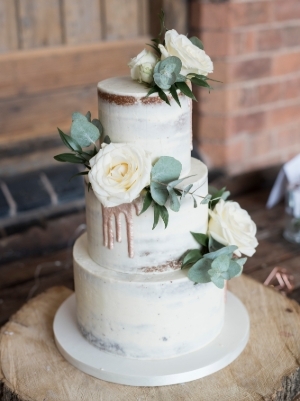 It only took a quick Pinterest search to realise I was attracted to barn-style weddings and thankfully Reece loved them too. 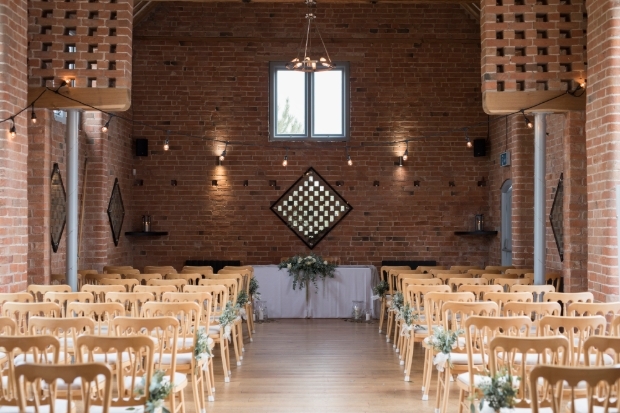 We went to a few different venues, however, Swallows Nest Barn was our favourite – we got goosebumps as soon as we were outside. 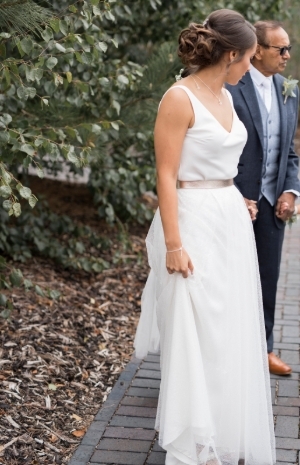 I got my dress from Tilly Trotter's Brides, Sian who owns the shop really delivers the perfect bridal experience and has a real passion to style you in your dream gown. I opted for Charlie Brear's Payton, with the sequinned Aurele skirt and the Demi Corello metallic leather belt, which gave me the individuality that I was looking for. I accessorised with earrings, a necklace, bracelet and hair piece with a crystal leaf design. Reece donned a tailored House of Cavani three-piece suit, which comprised a navy tweed jacket and trousers, with a grey and blue check waistcoat and tan suede loafers to complete his look. 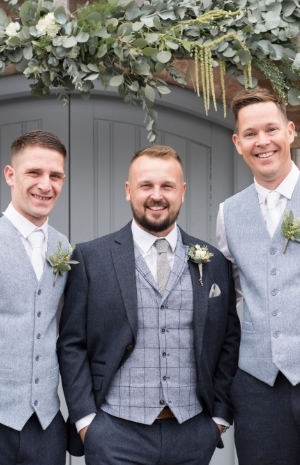 His groomsmen wore the same attire, however, they had a white tie and plain waistcoat and tan-coloured shoes. 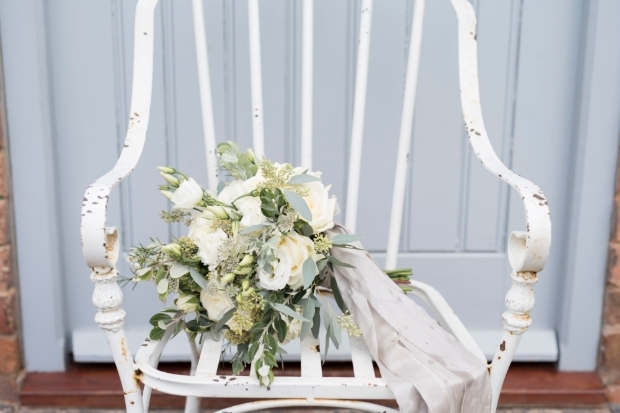 I adore my bouquet, I was literally parading around with it – when else can you walk round with a bunch of flowers? 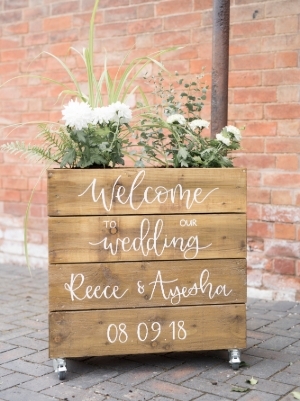 Reece handmade a personalised welcome planter which was placed outside the barn entrance – we now have it in our garden as a memory for years to come. 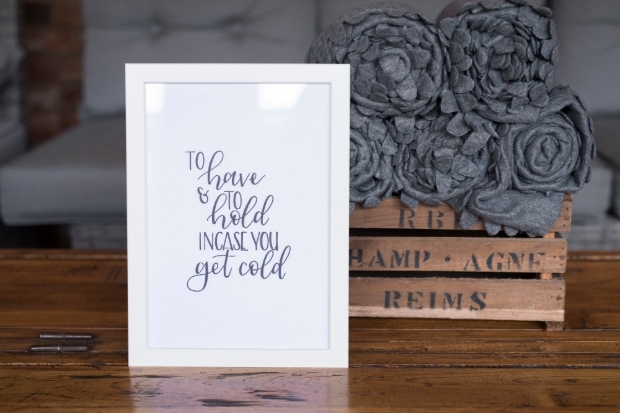 We loved the idea of neutral greenery with a pop of metallic silver and gold, as well as soft greys teamed with industrial black metal material for a dual-textured look. 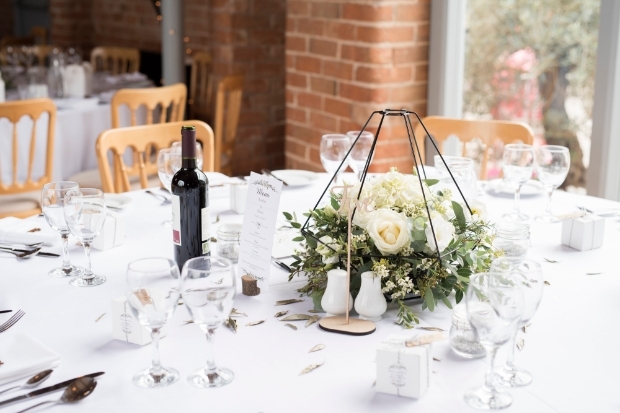 For example, we chose to have gorgeous green foliage with soft white flowers for our centrepieces but caged around geometric-shaped lamp shades. We booked a cocktail masterclass for our evening guests with bespoke drinks that were named after potions from Harry Potter. 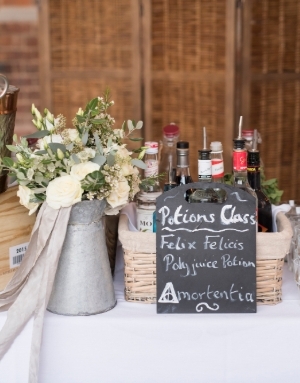 We chose to have the wooden place names as we wanted something natural that our guests could keep – they not only looked great on our tables next to the scattered olive leaves but smelt natural and fresh too! We added lots of finishing touches to make a lasting impression on our guests this included crates of blankets to keep warm in the September evening, flip flops for those dancing feet and packets of sweets for a midnight snack. The Distractions performed at our reception, we love live music so booking them was one of the first things we checked off our to-do list. 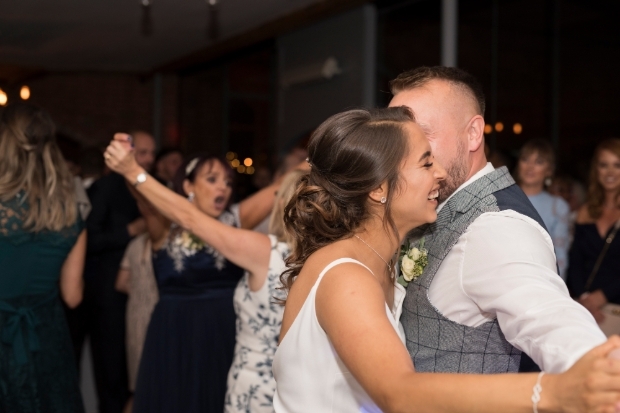 The band played a range of different music including hip-hop and old-school R'n'B and even performed a cover of Take That's Rule The World for our first dance.